This has been the hardest and longest week of my life, and yet, I’m not ready to move on from it. Last Saturday, November 2nd, 2013, I got the most horrific phone call that any parent could get. My son, who was only 6 1/2, passed away in his sleep. I couldn’t believe it, I didn’t want to. I didn’t know what to do. My heart was broken and I find myself asking God why. Why me, why my son, why? He was fun-loving, and smart. He knew how to make everyone laugh. While looking through the hundreds of pictures I have of him, over half of them are where he’s smiling or acting goofy. Everyone loved him and he will be greatly missed. My other two children, Maddox and Peyton, are confused and have lots of questions of their own. We try to answer them the best we can. I look back and see all the fun the three of them had together, and I don’t understand why it had to end. Bryan has been showing us signs that he’s still with us in his spirit, and I hope those signs never end. I want his soul to rest so he can enjoy Heaven with Papa and Champ, but I want him to always show me that he’s close. This is every parent’s worst nightmare and I keep wishing I can just wake up and find out its all a dream. Unfortunately, we don’t know what happened. All they can tell us so far is that it wasn’t anything obvious and that he didn’t suffer…he went peacefully in his sleep. I know finding out what happened won’t change anything and won’t bring him back, but I would still like to know. Bryan, I love you with all my heart and I love you to pieces! I can’t wait to be able to give you a big kiss and a big hug when I see you next! You will always have a place in my heart and I will never forget you! You touched my life in more ways than you know. You were always a special boy and my mini-me. 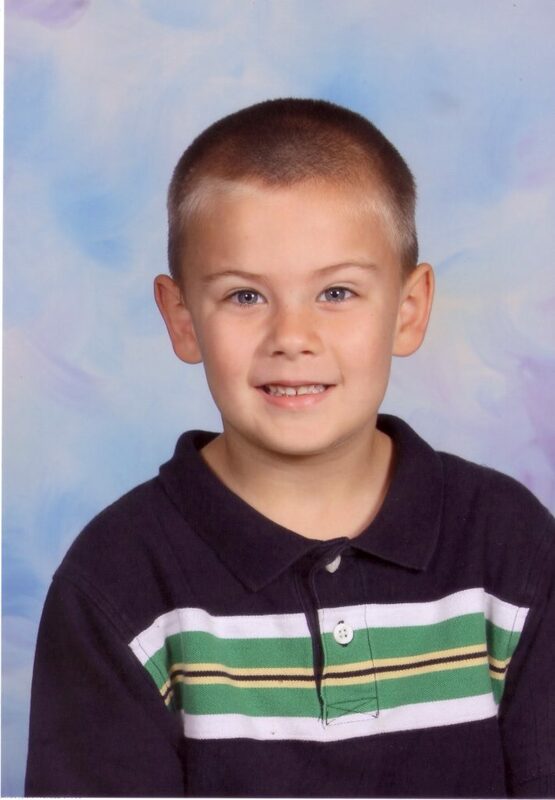 Bryan Andrew Russell, 6, recently of Camp Lejeune, Jacksonville, NC, died in his sleep Saturday, November 2, 2013. He was born June 23, 2007 in DeKalb, IL and was the loving son of Melissa Burski (nee Mishler), wife of HM3 (FMF) Richard Burski, of Jacksonville, NC; and Robert B Russell, husband of Ana B Russell (nee Ortiz) of Elgin, IL. Bryan’s favorite color was blue and he loved to dress up in his costumes and attend school. While often the leader of the pack, he was also the comedian who enjoyed making everyone laugh. He had a way of embracing everyone and everything in his life with abandon, and he will forever be remembered for his love of family, pizza, and mac n’cheese with hotdogs, but not necessarily in that order. Bryan was preceded in death by his grandfather, Richard Russell, of Carrollton, AL. Survivors include his grandparents Mick and Karen Mishler of Cortland, IL, Debbie Russell of St Louis, MO, Tom and Pam Burski of DeKalb, IL; three siblings, Marcela Sadie Ortiz, Maddox Ortiz, and Peyton Sole Ortiz of Elgin, IL; one aunt, Amanda (Paul) Sileo of St Louis, MO; and three uncles, Shaun (Beritzabet) Mishler of DeKalb, IL, Favio Ortiz of Buffalo Grove, IL, and Steven (Amanda) Burski of DeKalb, IL. Visitation will be 10am to Noon followed by a memorial service from Noon to 1:30pm on Saturday, November 16, 2013 at First United Methodist Church, 321 Oak St, DeKalb, IL 60115. Burial will be private. In lieu of flowers, donations may be made to the American Heart Association (http://honor.americanheart.org/goto/BryanRussell) or the American Diabetes Association (http://main.diabetes.org/goto/BryanRussell). That was the single hardest phone call I have ever made. I will always miss you Bryan. When I look at your blog in Safari, it looks fine however, if opening in IE, it’s got some overlapping issues.